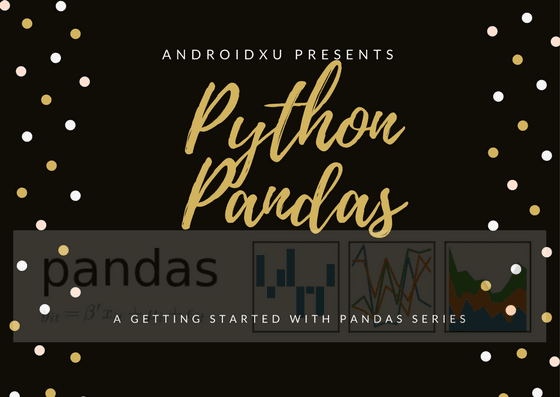 Pandas is a high-level data manipulation tool developed by Wes McKinney. It is built on the Numpy package and its key data structure is called the DataFrame. DataFrames allow you to store and manipulate tabular data in rows of observations and columns of variables. Time series functionality: date range generation and frequency conversion, moving window statistics, moving window linear regressions, date shifting and lagging, etc. Python objects, etc.). The axis labels are collectively referred to as the index. Creating a basic series from NumpPy array. note order in display; same as order in "index"
label. Thus, you can write computations without giving consideration to whether the Series involved have the same labels. Series is equipped with a set of string processing methods that make it easy to operate on each element of the array. Perhaps most importantly, these methods exclude missing/NA values automatically. Please Subscribe and Share with fellow developer! Wow...Nyc post to get started with series! very well written and helpful! Thanks mike you liked it !